Floating Foam Logo Clouds For Harley DavidsonMotorcycle enthusiasts gather to celebrate Harley Davidson’s 115th anniversary in Milwaukee, Wisconsin. The company is recognized for its production of high-quality motorcycles. 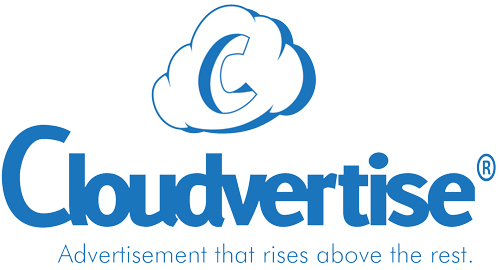 Cloudvertise was hired to increase brand awareness for the iconic motorcycle manufacturer. Aerial clouds provide a massive amount of exposure at corporate events and at trade shows. When Harley Davidson desired high-flying recognition of its 115th anniversary, our Aerial Marketing Machine answered the call. Using an eco-friendly advertising medium is ideal for corporate logo-branding initiatives. Helping Harley Davidson engage with its fans and its followers was a huge success. Using soap and helium, two Aerial Marketing Machines were set side-by-side to produce one cloud every 15 seconds. One machine was used to produce clouds that reflected “HOG,” — to recognize members of the “Harley Owners Group,” while the other machine produced clouds that reflected the “Bar and Shield logo” — to highlight Harley Davidson’s 115th anniversary. The Harley Owners Group has more than one-million members. Thousands of “HOG” members and fans were staring into the sky for more than two hours to observe our floating logo clouds. Viewers continuously smile while watching our eco-friendly clouds soar into the air. When superior branding strategies are need to generate a buzz at indoor or outdoor events, logo marketing with floating clouds commands unprecedented amounts of attention. Aerial advertising is a cost-effective way to expand a company’s reach. It also provides a unique opportunity for a brand to explore fun-filled promotions. Whether aerial advertising is used to highlight a spectacular event or to reinforce a company’s brand recognition, consumers are receptive to the marketing approach. Unlike traditional forms of marketing pieces that consumers try to avoid reading, viewer intensely focus on cloud-produced aerial promotions. Our floating clouds are safe for the environment. In addition to the eco-friendly ingredients of helium and soap, aerial advertising does not require the consumption of paper products, ink, trees or other non-disposable items. Imagine the amount of effort that it would take to generate a lot of attention from a recent postcard mailer, billboard advertisement or a flyer versus sharing social media videos of a corporate event that features flying logo clouds. Instead of brainstorming to discover the next best gimmick, marketing managers can schedule a consultation with our team of creative cloud specialists. We offer nationwide services for corporations, schools, concerts, professional sports teams and for other festive events.